Why Do You Need a Trap on an Air Conditioner Drain? Why Is My Kitchen Sink Draining Into My Bathtub? Even though your kitchen sink and bathtub have separate drain lines, all of the waste pipes in your house’s plumbing connect together ultimately, which helps explain why draining the sink causes water to come up the bathtub’s drain. The problem may indicate a small or serious problem with the house’s plumbing. 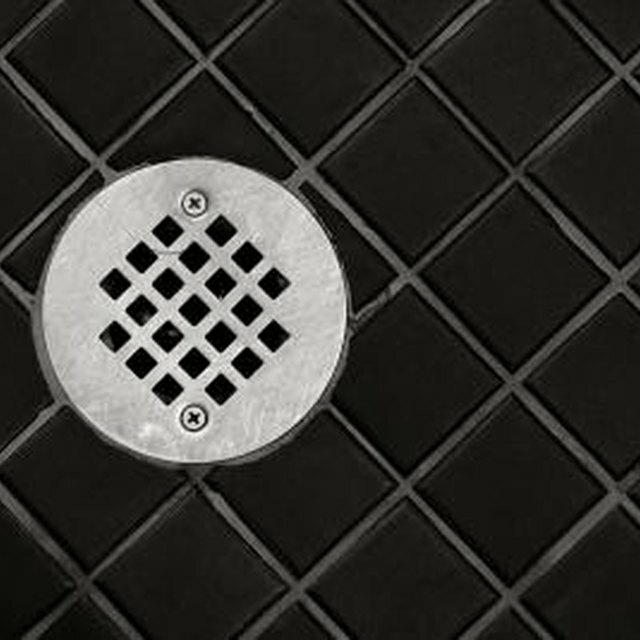 All of the drains in your house connect directly to smaller drainpipes, which transport the waste water away from the plumbing fixture. These smaller drainpipes connect to larger drainpipes in the house, which will capture the drain water from several nearby plumbing fixtures at once. When a clog forms in this larger drainpipe, the waste water that flows down one drain cannot flow down the larger drainpipe, and so it travels up another smaller waste line and up through another plumbing fixture’s drain. Your bathtub’s drain sits lower than the sink’s, meaning the backlogged water will reach the tub’s drain sooner. The larger drainpipes in your house vent through pipes that run straight up and through the house’s roof. The opening in the end of the pipe introduces fresh air to replace air that flows down the drainpipes along with the waste water, maintaining an air pressure balance in the pipes. The vent pipes also allow sewer gasses to escape through the house’s roof rather than pushing up through the drains in the house and pushing waste water up through the drain along with them. From the rooftop you will see if any clogs sit inside the vent pipes and can use a garden hose to dislodge the clogs. The larger drainpipes in your house all connect to a sewer drain line. Houses that connect to sewers as well as septic tanks have a sewer drain line. Between the house and the sewer line in the street or the septic tank you will see a small pipe with a cover on it, which is the cleanout and will help you determine if a clog exists in the sewer drain line. Water coming out around the cleanout’s cover definitely indicates a clog in the sewer drain line. Use a wrench to remove the cleanout’s cover, and look for standing water or debris, which will also indicate a clog. A plumber has a power auger that he feeds into the sewer drain line through the cleanout to remove obstructions in the line. A full septic tank will cause the waste water to begin backing up through the sewer drain line and the house’s larger drain lines. When you wash waste water down the sink’s drain, the water will come into contact with the other waste water, forcing the sink’s drain water up as well. Since a bathtub’s drain sits lower to the floor, the waste water will exit the tub’s drain first, giving you an early warning of the problem. Draining the septic tank will eliminate the problem before you have sewage flowing out of your house’s drains. How Does Roto Rooter Work?